Ministry of External Affairs or MEA launched what is known as Twitter Seva – a grievance redressal forum for NRIs and resident Indians. The forum was designed for taking care of all grievances related to VISA and Passport as well as issues that related to foreign policy. It turned out that the platform was actually successful in reaching out to its intended audiences. Home Ministry of the Union Government will follow the footsteps of Ministry of External Affairs and introduce its own Twitter Seva – a public grievance platform, which will be designed for subsuming every other Twitter Platform that are currently operational under the Home Ministry. People from across India will be allowed to post on this forum and the government will take necessary actions, wherever possible. Twitter Seva of the Home Ministry will try to address actionable complaints from the citizens via the divisions and departments of the government, which are responsible for handling such complaints. Rajiv Mehrishi, who is currently the Union Secretary with Union Home Ministry actually met with RaheelKhursheed, who is currently heading Twitter Seva’s South East Asia and South Asia divisions. Mehrishi discussed the prospect of Twitter Seva set up for Home Ministry with Khursheed. 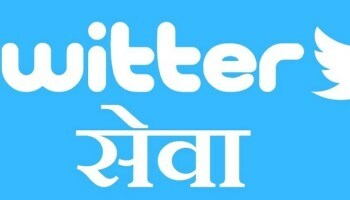 How Will Twitter Seva Work? The officials of the Home Ministry department of Union Government have clarified that they will be identifying keywords which relate to various services that different departments of the government offer to the public. Once a citizen complains about something using a specific keyword, the system will capture the keyword and will show it directly on the server which is located inside Home Ministry. Once the Home Ministry finds that the grievances are valid and the government can actually take some action to fix the problem, the department responsible for handling the issue will actually initial redressal process and the citizen who actually complained will be informed directly via Twitter. The Home Ministry officials have however clarified that once the system goes online, the number of keywords will be kept at a check. The low number of keywords will ensure that random, irrelevant and unactionable requests do not start flooding the ministry. The officials have also clarified that he officials who will be given the responsibility of dealing with the complaints will be given strict instructions on deal with those problems on a real-time basis. This means that the government will promptly and immediately take action as soon as an actionable complaint is identified. Just in case you didn’t know, there are 10 handles on Twitter that are currently being operated by Union Home Ministry. Of these 10 handles, two are maintained by Rajnath Singh – the Union Home Minister. Hansraj Gangaram Ahir and Kiren Rijiju are two other Union Ministers who run and operate two other Twitter handles for addressing public grievances. It is an interesting move by the Union Home Ministry. There is no doubt the present government actually responds to public grievances and tries to address them as soon as possible. It is a good sign for Indian Citizens because, for the first time in 60 years of Independence, they are being heard.